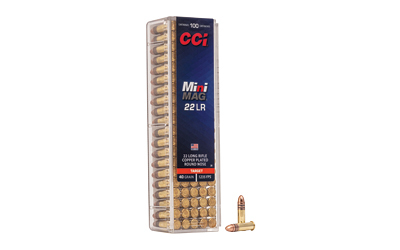 For the backyard plinker or the competition shooter, CCI® has what you need. For accurate, extremely consistent ammunition the only option is CCI's Competition, Target and Plinking line. They offer a variety of affordable loads and calibers ideal for each discipline and fit perfectly for popular rifle, pistol and semi-automatic shooters. And they're loaded to ideal velocities for the best performance. This is definitely worth a closer look.